On Friday, November 23, South African consumers will start queuing at the break of dawn and online shoppers will be glued to their computer screens as the annual shopping craze begins. 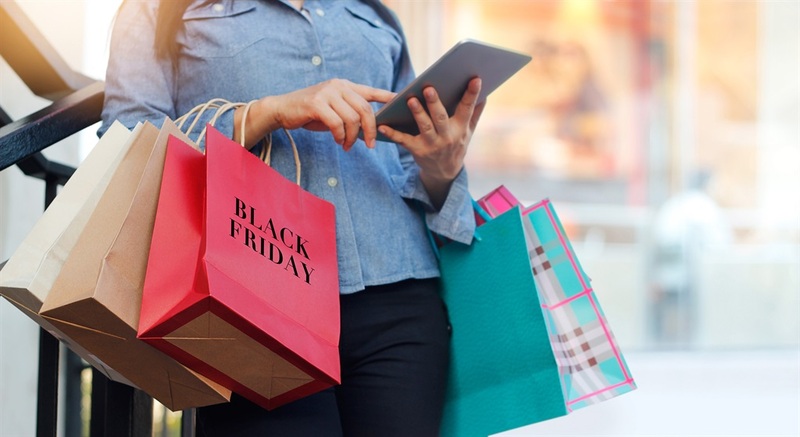 According to the 2018 Black Friday survey conducted by My Broadband, 81% of those surveyed said they are planning to shop on Black Friday this year, with the majority revealing that they are planning to spend less than R5 000. The problem is that you can easily get carried away with all the deals on offer. There is a risk of overspending and buying items you don’t really need if you don’t arm yourself with a strict Black Friday budget. A recent study by World Wide Worx showed that online shopping makes up only 1.4% of total retail revenue in South Africa, that’s significantly less than the global figure of 13%. These statistics highlight the persistency of South Africa’s shopping mall culture. We tend to rely on malls for entertainment, retail and social interaction, especially during the festive season. And for many of us, Black Friday is the start of the end-of-year spending spree. Consumers must shop with caution, proper planning and budgeting is vitally important to avoid unnecessary and spiralling debt. Making a list with only necessary items before the sales start will help you to focus on what you need when looking out for discounts. It is very easy to be tempted on the day – make sure you avoid impulse purchases and stick to your list! Budgeting is essential to avoid overspending. But having a budget and then not sticking to it is pointless, so it’s important to be disciplined. To avoid disappointment, make sure your budget is realistic. If you can’t afford a Black Friday budget, rather avoid temptation and stay away from the shopping malls on that day. With the festive season right around the corner and JanuWorry fast approaching too, you can get a head-start and save some money on gift and back-to-school shopping. Again, be smart about what you’re buying and know what you’re looking for. Depending on your priorities, Black Friday is a good opportunity to buy non-perishable household items that you know you will always need and that won’t go off. Stocking up on cleaning products and toiletries while they’re on discount, for example, is not a bad idea. It can save you money and reduce your future monthly spending. Keep in mind that while buying on credit allows you to get the item instantly, you will end up paying more in interest over time, possibly even cancelling out the discount and causing a lot of financial distress in the future. Whether or not you are shopping on Black Friday, always monitor your SMS notifications and report any suspicious transactions to your bank immediately as fraudsters are also shopping on Black Friday. Don’t let them use your money. If you’re shopping online, make sure you are transacting on legitimate sites. With proper planning and self-discipline, bargain hunters can make the most of Black Friday deals without breaking the bank. But now is definitely the time to be cautious .